Department of Industrial Engineering - University of Salerno, Italy. 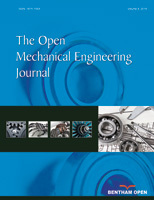 In this paper a FEM-BEM numerical methodology to simulate soundproofing effects generated by an engine beauty cover was developed. Indeed, the engine beauty cover is not only an aesthetic element but also accomplishes the specific function of soundproofing and thus it is important to calculate the noise attenuation it can provide. The methodology was implemented by using the commercial software Virtual Lab, produced by LMS: the indirect BEM (IBEM), with a variational solution algorithm, was adopted to assess the acoustic scenario whereas the dynamic structural analysis was performed by the Finite Element Method (FEM). A correlation with experimental data obtained in the Fiat Research Centre in Pomigliano d'Arco (Naples) was carried out to verify the efficacy of such a method. The procedure can be applied to any structural element of the same typology (not only of automotive type), with the aim to numerically determine its effectiveness in noise attenuation. The numerical and experimental Insertion Loss showed a satisfactory degree of correlation in all the range of frequencies of relevant importance in the automotive field.